There is no question that playing professional football results in a lot of injuries. It has gotten to the point where you cannot watch a single game without seeing at least one, and often multiple, players being carted off the field on a golf cart and taken for an X-ray or MRI. In addition to all the joint and bone injuries, there are the head injuries, including those resulting in concussion, which have gotten a lot of press lately. It is well-known that when a player tests positive for marijuana, they will face a suspension of usually one or two games. If they test positive a second time, it can lead to a suspension of eight or more games. Basically, these players can miss a half season or more for using marijuana, even in the off season. While many assume players are using marijuana for recreational purposes, and probably some of them are, some players turn to medical marijuana as treatment for chronic or long-term injuries, including to help with the symptoms of a traumatic brain injury following a concussion. This is a clear violation of NFL rules, even if the players are in the nearly half of all states and the District of Columbia where medical marijuana is completely legal, and, if they use the drug and test positive, they can be suspended from the league. 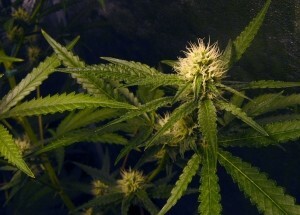 Since marijuana is clearly not a performance enhancing drug like steroids or human growth hormone (HGH), it appears that the only reason medical marijuana is listed as a banned substance is because of the social controversy surrounding legalizing medical marijuana across the United States. However, the league has no problem with powerful opioid painkillers, such as Vicodin or Percocet. According to a recent news feature from National Public Radio, it is not uncommon for football players to be on their chartered flight going to or from an away game and the team doctor walks down the aisle of the aircraft and hands out painkillers like they are an inflight snack to anyone who wants them. The heavy use of these narcotics is leading to high tolerance and the need to take more to get the same effect. They are leading to addiction and other health consequences. In addition to that, as many patients are aware, they often to do not work to control certain types of pain, such as the headaches associated with a concussion, and lead to trouble sleeping and severe constipation. Eugene Monroe, a Baltimore Ravens tackle, has been lobbying the NFL to change the policy prohibiting the use of medical marijuana for the treatment of chronic pain. As he notes, many NFL players suffer chronic pain as a result of the rigors of the game. He said that he had tried Vicodin and oxycodone many times in the past and they did not work, made him feel dizzy, and “slowed his digestive system to a halt.” These are all common side effects of opioid painkillers.